If you use Borlabs Cache you might notice that the WordPress Toolbar disappears under certain conditions. This happens every time you load a cached page while being logged into WordPress, as loading an indexed page will cancel all WordPress request processes. 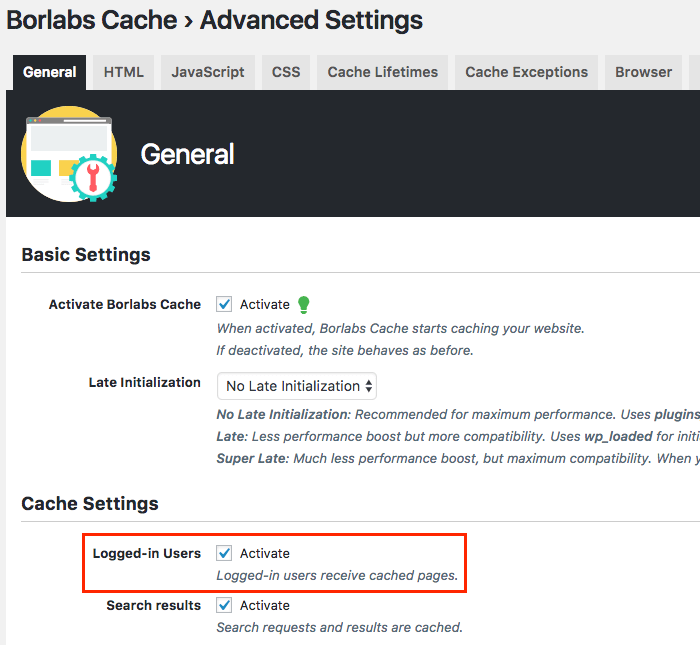 Deactivate Logged-in Users under Borlabs Cache > Advanced Settings to stop receiving cached pages while logged into WordPress.